.I heard you were looking for me. : .Mother's Day. Yesterday I spent the whole day with my mom. I gave her my full attention. I didn't call anyone and say Happy Mother's Day, which now that I'm realizing this, I'm probably in trouble with some ladies lol. Anywhos, I don't think I've spent this much time with my mom since the 9 months before November 27th 1989. Just way too much lol. 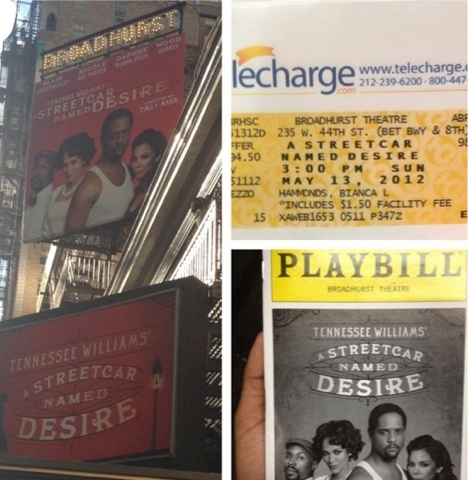 I surprised my mom and little sister with tickets to see Tennessee Williams' "A Streetcar Named Desire." GREAT PLAY! So good! The acting was amazing! And it's a tear jerker. I would recommend everyone to go and see this play. Check out my review here. 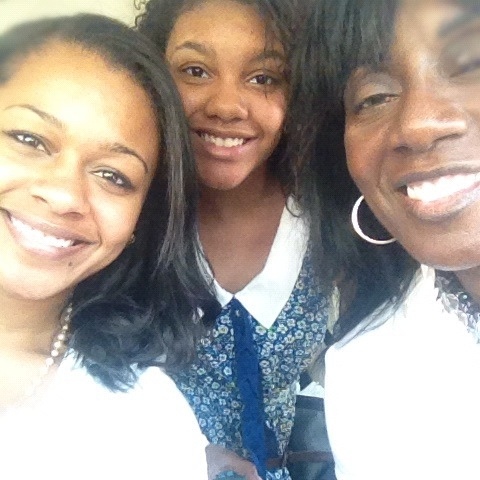 Here are some pics :) That's me, Sahara, & my mom.